Dog health insurance saves you money. As with just about all other costs, veterinary expenses have increased rapidly in recent years. 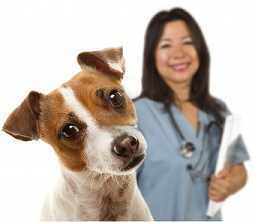 Without dog medical insurance (or more accurately, veterinary insurance), you are responsible for paying for everything: routine checkups, preventive procedures, emergency care and disease treatments. That will run into hundreds of dollars. Why not get some help? Health insurance for your dog, like health insurance for yourself, has annual premiums and deductibles. Pet insurance premiums depend on the breed of your dog and the type of policy you decide upon. If you have more than one dog, there is usually a reduced rate after the first policy. Dog health insurance deductibles can vary as well. The average annual deductible is about $100. You may choose among different coverage plans which are based on your dog's age, breed, and pre-existing medical conditions. Some policies even consider the dog?s lifestyle; for instance, whether your dog is purely a pet or a watchdog, too. Dog insurance healthcare plans can vary greatly. Some canine health plans are quite comprehensive, covering annual checkups, routine care, vaccinations and other preventive medications, and spaying/neutering, as well as illnesses and accidents. Others only cover unexpected sickness or injuries. Dog insurance coverage for emergencies begins immediately on most new dog health plans, with a 30-day waiting period for illness and other claims. Your dog's age can affect your dog's health insurance coverage. Typically, policies begin veterinary healthcare coverage when the dog is 6 to 8 weeks old, although some will start when the dog is younger. Similarly, some dog health insurance companies only will cover dogs under 8 years old unless the animal was already insured with them before turning 8. Many dog health insurers will not cover your pet if she has a preexisting condition or a terminal illness. Some will insure the dog only if the condition is controlled or stable, usually for 6 months. With all these options, it is important you check out the various dog health insurance companies, their pet insurance policies and corresponding dog healthcare plans. In short, if you care about your dog, you should care about his health. If you care about your wallet, you should care about your dog's health insurance coverage, too. Joel Walsh is a regular contributor to i-love-dogs.com.